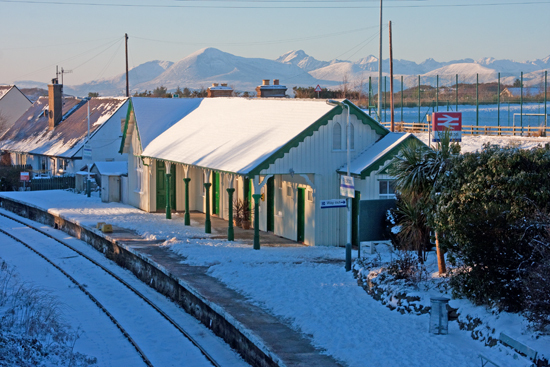 Nestled above the village of Plockton with the Cuillin of Skye as a backdrop ‘Off the Rails’ at Plockton Station offers a truly unique holiday experience providing all the discerning holidaymaker could be looking for. 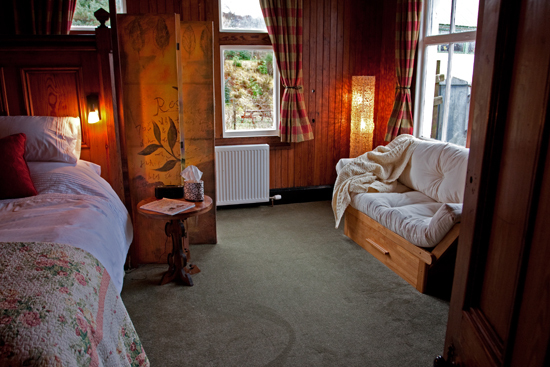 The well-equipped and comfortable accommodation has been designed with your comfort in mind to provide affordable indulgence for holidaymakers seeking first-class standards, and will appeal to families, couples, friends and railway enthusiasts alike. A travel cot and high-chair is provided. 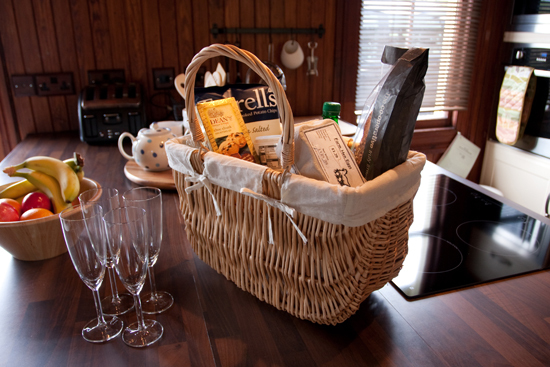 ‘The Old Ticket Office’ is now the lounge with the original pitch pine cladding on the walls, wooden floor and ceiling and original Victorian fireplace – a basket of logs and coal is provided. 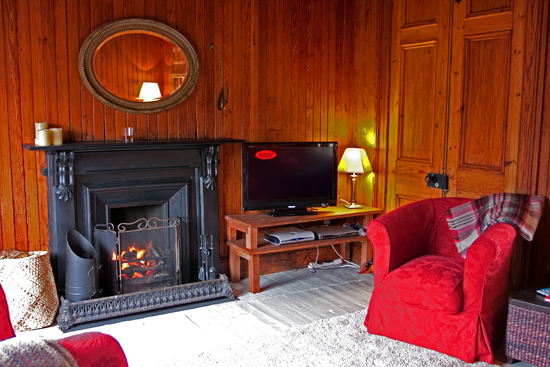 The ticket hatch has been preserved as it was, and the lounge is equipped with LCD television with Freesat and DVD player. 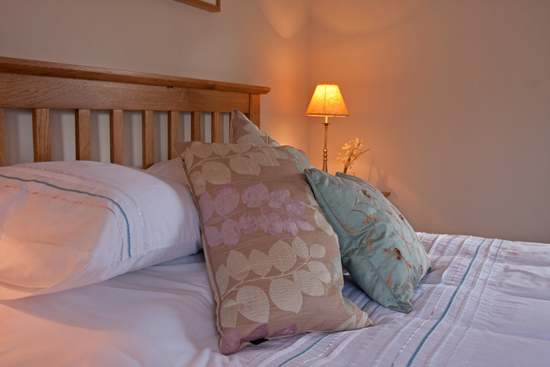 The comfy sofa converts to a double bed together with tub chair, armchair, bean bags and footstool. 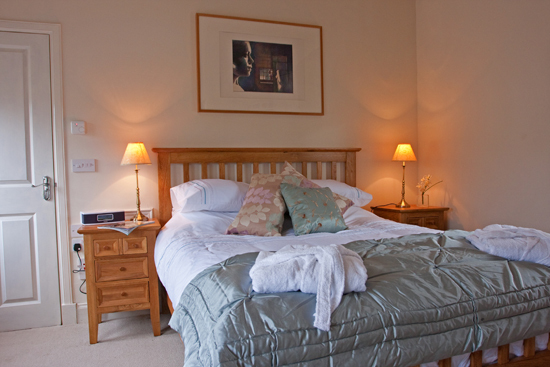 ‘The Ladies’ Waiting Room’ is now a bedroom with a quality king-size bed with bed-side tables, LCD television and DVD, comfortable chairs and fully fitted carpet. 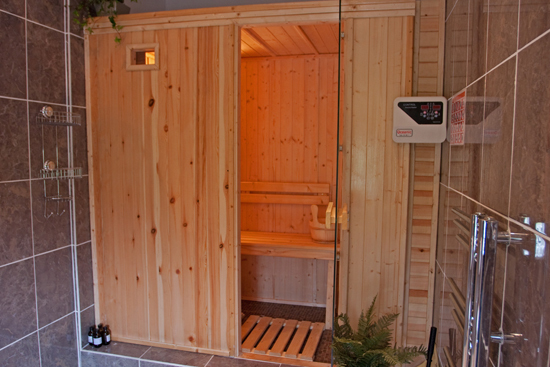 The former ‘Gentlemen’s Toilet’ has been converted into a spacious luxury en-suite wet room with its own sauna and cold drench shower (as well as a thermostatically controlled hot one), and under-floor heating. 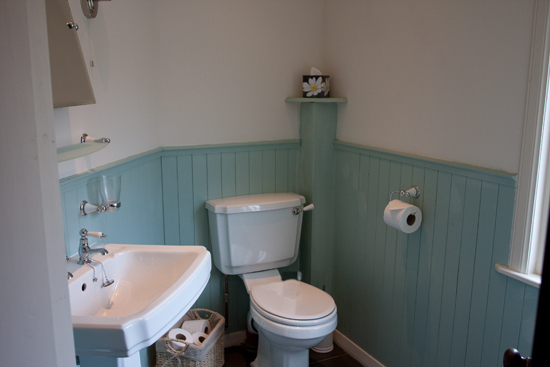 ‘The Ladies’ Toilet’ has been converted into a utility room with washing machine and tumble-dryer. A pulley system is available for drying coats and jackets as it does occasionally rain in Plockton! 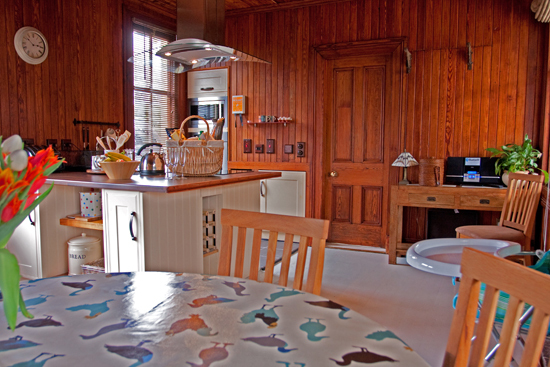 ‘The Gentlemen’s Waiting Room’ is now the open-plan country kitchen and dining room. 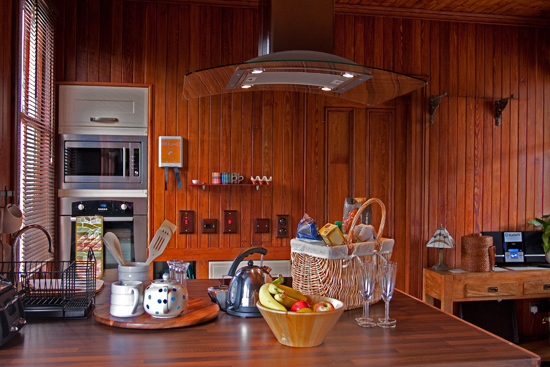 There is a large island unit with breakfast bar, induction hob, with island cooker hood, oven, microwave, fridge and dishwasher. ‘The Station Master’s Office’ is now a bedroom, and to ensure comfort and warmth, a carpet has been fitted. 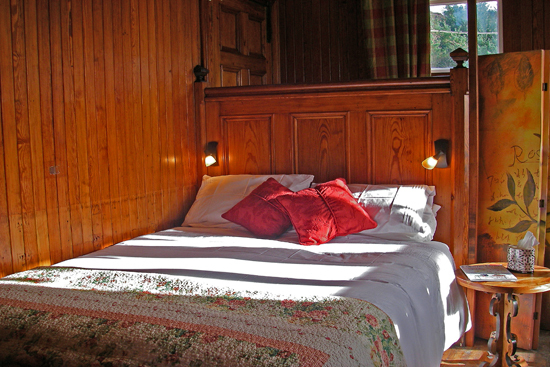 An original architectural feature has been utilised as a bed head for either a king-size or twin beds (zip and link), and a sumptuous mattress topper has been provided for the king-size bed. There is also a single sofa bed in this room. 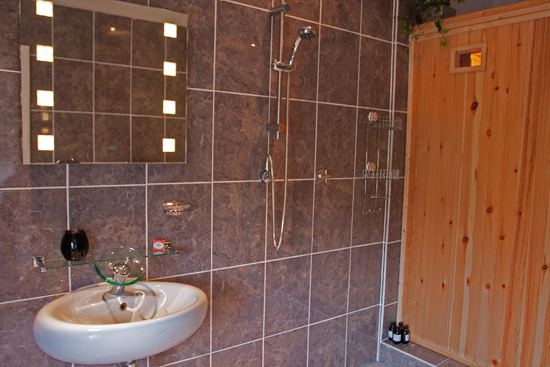 This bedroom also features its own toilet and walk-in shower.